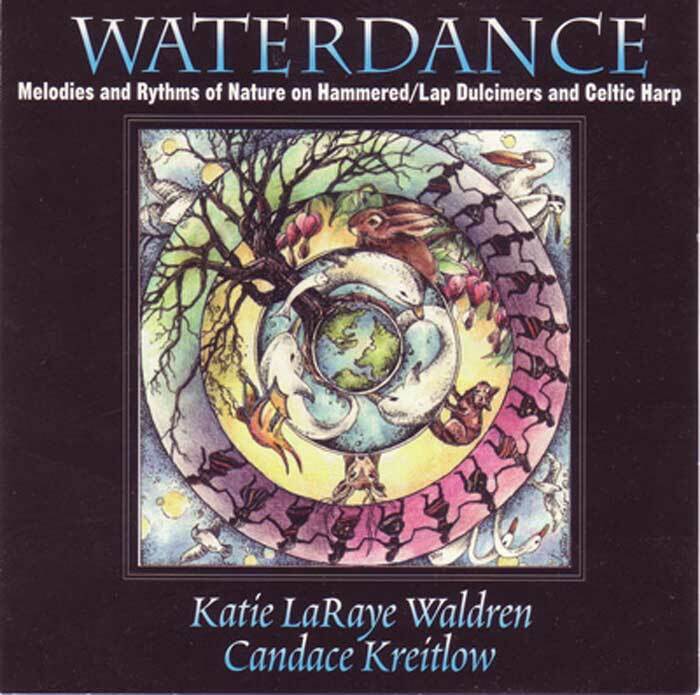 Dulcimer wizard Katie LaRaye Waldren and expert Celtic harpist and guitarist Candace Kreitlow have created a classic recording of elegantly energetic Irish and American instrumentals. All instrumental, 59 minutes. Click musical notes, below, to hear a short sound clip of that song. THE TUNES: Waterdance/Gayfeather, Canarios, Gaia, Banish Misfortune, Reaping the Rye, Cluck Old Hen, The Water is Wide, Wind That Shakes the Barley, Woodland Jig, Free Little Bird, Old Molly Hare, Shady Grove, Butterfly/Swallowtail, Over the Waterfall, Gaelic Aire, Little Rose is Gone, June Apple, Black Mare of Fanad. Be the first to review “Waterdance” Click here to cancel reply.